Please select a date of play to check availability on Alamos. 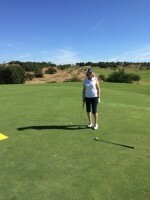 The Alamos 18 hole golf course is one of the newer courses to be inaugurated in the Algarve. 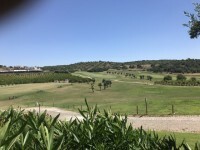 Lying to the north of Portimao it is laid out as a neighbour to its sister course Morgado. The setting is a large 980 hectare estate through undulating small valleys. 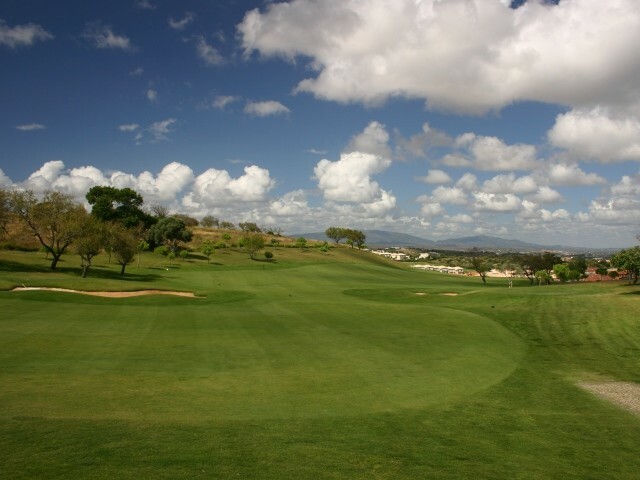 The immediate main characteristic of the Alamos Course is its large greens which place demand on good putting skills as they are often raised above the fairway approach and involve several levels. Also, the accuracy of the shot of the player will be questioned by deep aggressive bunkers. Played twice this week. Great value for green fee buggy and clubs. Course in good nick. First nine more challenging than second nine. Only negative was distance markers which are not correct in many places. Would play again and looking forward to playing Morgado because staff etc all excellent including the nice touch of cool towels brought out by the staff half way round. Needs marshalled to stop slow play. Good condition and by luck we got started early as the two four balls from Ireland on a “boys” trip took over 5 hours and held the whole course up. We were 1hour 45 for front nine and 2hours 15 for back nine. The group behind us had lost 5 holes to us. We were lucky but the people behind must have been furious. Needs marshalled for 160 euros for two. 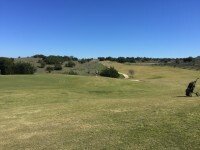 To post a review, score or a notice on Alamos page's or to connect with other Alamos golfers, please log in to your account or sign up using Google or Facebook.